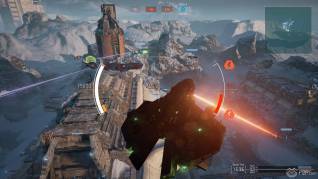 We recently took a look at the Closed Beta of Dreadnought from Yager Development, a futuristic team based space shooter where players captain huge space ships in small fleet battles; having already seen the game at Gamescom in August 2015 we were eager to see how the game was shaping up and what was different. 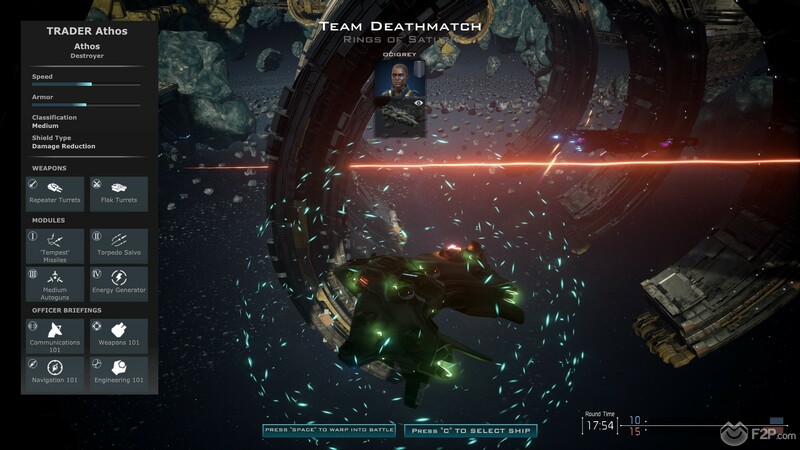 From the gameplay aspect there wasn’t that much that looked different, we still seemingly had the same handful of maps, still only two game modes (Team Deathmatch and Team Elimination) and most of the base ship models that we’d seen (though we can’t see what additions have been added). The game was in really good shape when we checked it out at Gamescom but one of the things we now got to have a better look at in our testing was the progression system, which at the time of Gamescom was only discussed through our own questions and had no real demonstration. So what did we find? 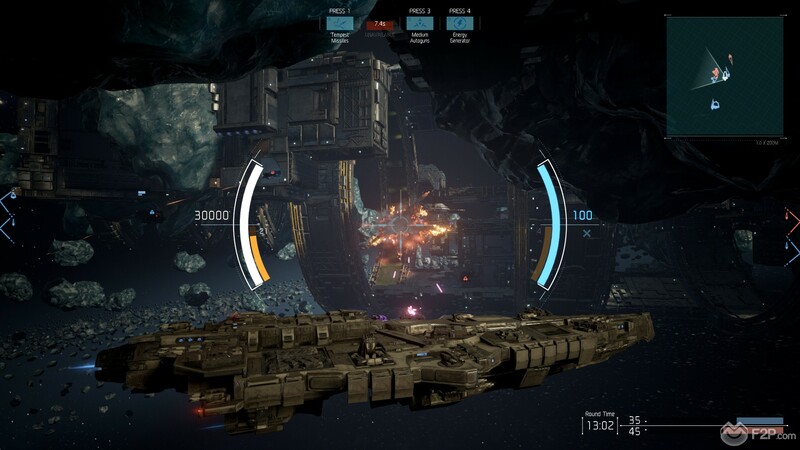 Well there’s 50 Captain Levels that you can advance through, done as simply as earning XP through playing matches, there is a single linear tree that you advance through and at each level you unlock access to some new content such as new ships (levels 15 and 25 specifically), Modules, Officer Briefings and finally Appearance cosmetics for pimping out your ship. 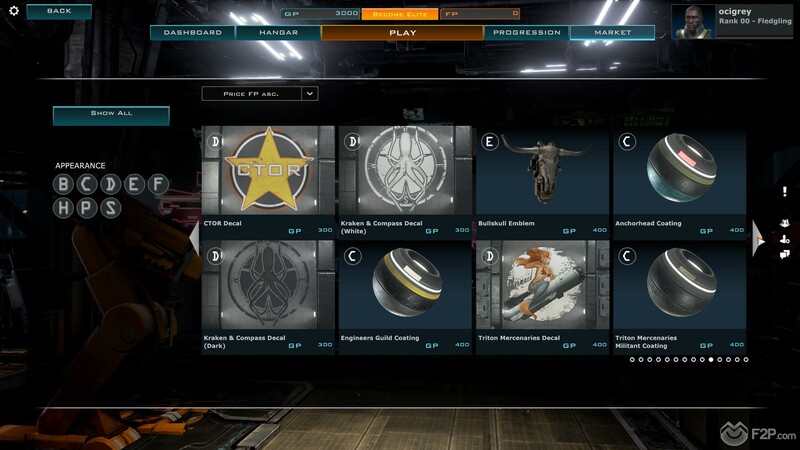 Levelling up only gives you access to these items, but you still need to buy them with the currency (FP) earned from matches; buying the new ship when unlocked, buying the new weapon modules and equipping them, buying the new Officers, etc. This, we have to say, is probably the first thing we don’t like about the progression. 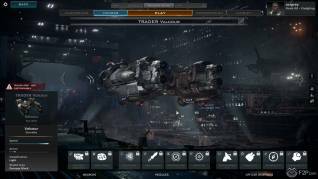 There’s only one single tech/progression tree with no branching off, the result being that everyone has access to the same things at exactly the same level and at the early levels in particular there so few new modules unlocked it pretty much means everyone playing in a Corvette class ship is going to have generally the same loadout of modules with the odd exception here and there. The customization is a waiting game, overall there’s plenty of options for customizing your ship, with around 10 customization slots per ship. 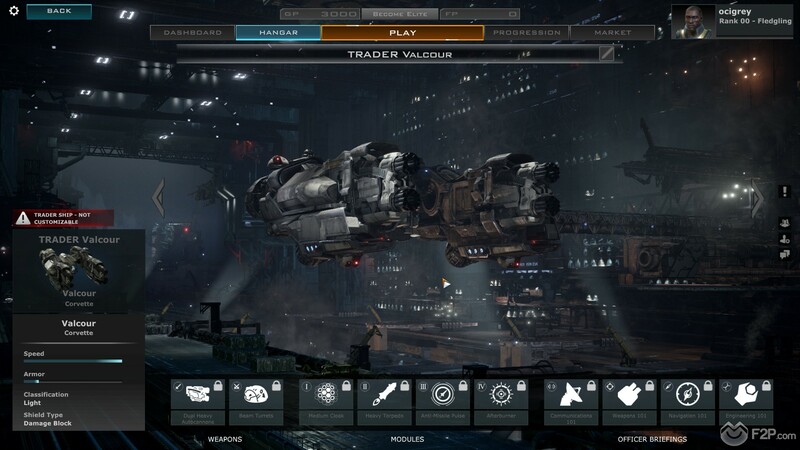 Once again the problem is that you unlock these new modules in a very specific order so until you are max level your actual choice of loadouts is actually very very small, such as the Fulgora Corvette class will have the same primary weapon forever (currently no other option) and only picks up a new secondary weapon option at rank 11. The slowly expanding choices mean early game customization is quite poor; at level 50 with everything unlocked then the loadout build options are a lot more interesting, particularly when working them out for what best suits your team composition. This was another big thing we noticed; Team Work. 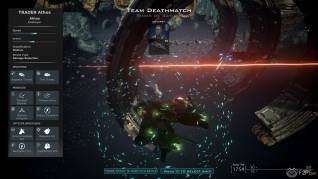 Like any MOBA that relies on team work you rarely see it at early levels where players are still working out how the game works and what their ship can actually do. 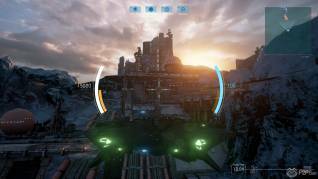 Dreadnought was no different. Trying to get everyone on the same page was actually quite tough as the in game ping commands (F) were generally quite limited and at times not specific enough; such as seemingly not being able to ping a specific enemy ship with an Attack command so players focus on that ship. Everything was reliant on communicating with your group through team text chat, which unfortunately is not something you can do in the middle of battle and in the middle of battle everyone changing target, or watching for a sudden enemy flank on your right, or any other myriad of commands that you lack can suddenly be too long to stop what you are doing and type out. This only highlighted a bigger issue and that was the lack of in-game voice comms to actually try and talk to other players, the developers are openly relying on the use of external programs such as TeamSpeak or Ventrilo for players to communicate, but that’s simply not viable when jumping into a random pickup group with non-friends. The difference between playing with voice comms and without is staggering; at Gamescom we were hooked up with other players and could talk and focus our tactics and it instantly felt more fun and us more useful in combat, without it and playing in the beta we felt very much alone. Being alone in this game is being dead, not going in as a team, or players splitting off into different directions and leaving a slow Dreadnought or a weak Tactical behind is the death of them. It feels like the game is built for Clan based play, and at that level it will definitely excel, but for casual players it does feel like they might suffer. Whilst slowly drifting through space with the larger Destroyers and Dreadnoughts was very cool, and the controls perfectly complimented the gameplay using W forward, S back, A turn left, D turn right, Shift to descend vertically and Spacebar to ascend, this wasn’t quite as comfortable on the smaller faster ships. 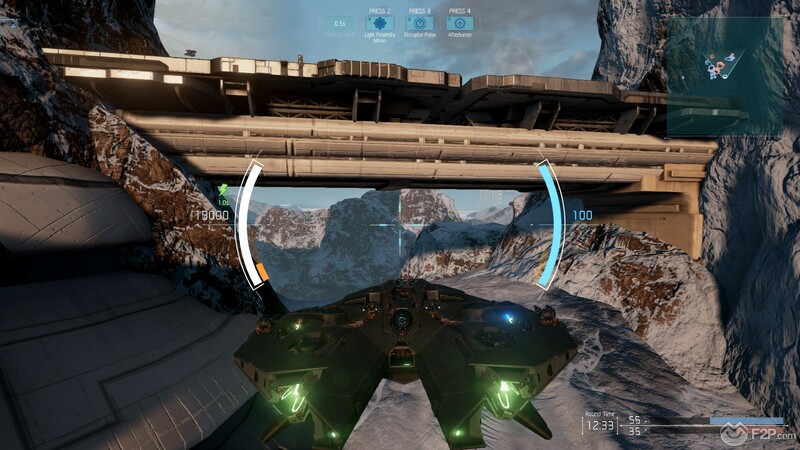 The Tactical ship and Corvette were pretty quick in comparison to the other classes and it was here that it felt like they should be more Starfighter based, meaning that whilst there was 360 movement through space, it was essentially lots of layers that you could WASD around stacked on top of each other and you moved between them with Shift and Spacebar, what you couldn’t do was aim your ship nose down and fly downwards and in the faster ships this felt really unnatural to us as they are supposed to be much more mobile. So is all lost? No, far from it. The game is great fun and getting kills and pulling off some cool maneuver or pulling an ambush off is always pretty thrilling, combined with the graphics compliments of the Unreal Engine 4 and special particle and lighting effects, gorgeous maps and ships models, there’s very few space sims that look as good as Dreadnought. 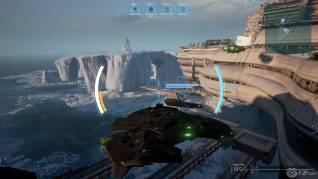 The actual battles are really fun and the cluttered but well-designed battlegrounds really do force strategic long term planning, the movement is slow and steady in comparison to most starfighter based shooters and definitely sits in a more unique place as part of the space shooter genre. 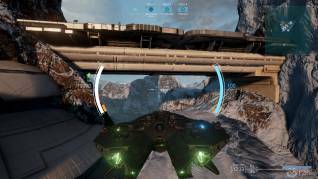 The things we didn’t like are (for the most part) things we hope to see ironed out as development continues, but really the game is in a pretty good place already and we don’t think new players will be at all disappointed with what Dreadnought has to offer. 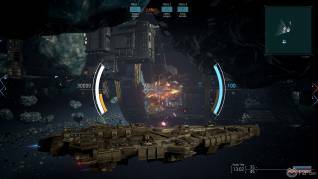 With more ships and modules added over time, new maps and game modes, the game will hopefully have some longevity to it as it definitely has a fun and more unique gameplay style than most other shooters.